Commercial Refrigeration Brooklyn is capable in providing a wide range of repair and maintenance services of restaurant appliances. We understand the need of appliances in commercial areas and for this we offer diverse repair and maintenance services at affordable rates. With a large contingent of factory trained service technicians, we are capable in providing high-quality repair services to all your restaurant refrigeration appliances. Regardless of the complicated machinery of your refrigeration system, we make sure to provide you the best 24/7 service in an effective way. We provide all types of commercial refrigeration services throughout Brooklyn, New York. 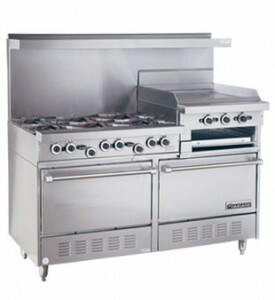 Our team of experts is certified and licensed and can execute any kind of repair and servicing of restaurant appliances. At Commercial Refrigeration Brooklyn, we know and respect every business requirements and offer restaurant appliances service in a timely manner. Our restaurant appliances repair is well-known throughout Brooklyn and due to a long contented list of satisfied customers, we are highly recommended for our quality services at affordable rates. We are active 24/7 and always ready to serve our clients on weekends or on emergencies. From all kinds of repair to basic maintenance, we guarantee satisfaction and contentment to our clients. For any of your restaurant appliances repair and maintenance, you can contact us any time. Our team of expert technicians will reach to the precise address with a kit of advanced tools and other equipments and perform the entire repair in front of you. So, if any of your restaurant appliances is not working smoothly, you can trust us and feel free to call us and our expert technicians will provide the best services within your means.